There are many historic buildings lining Norwich’s Main Street, reflecting different eras of the past as well as the specific families who have lived and worked in them. The 1869 Beers Map reveals that a house next to the Congregational Church belonged to someone by the name of Tracy, a name that should be familiar to us all, even though the house is no longer there. 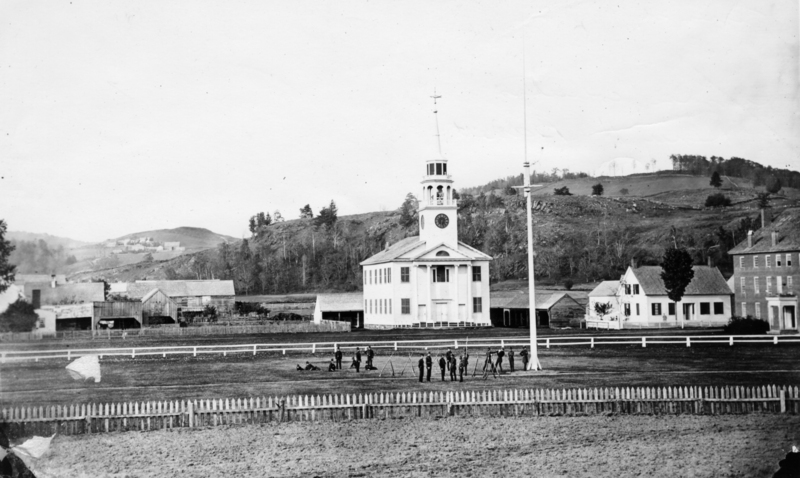 The barns of the Tracy farm are visible in this photograph of Norwich University Cadets on the Green in 1860. 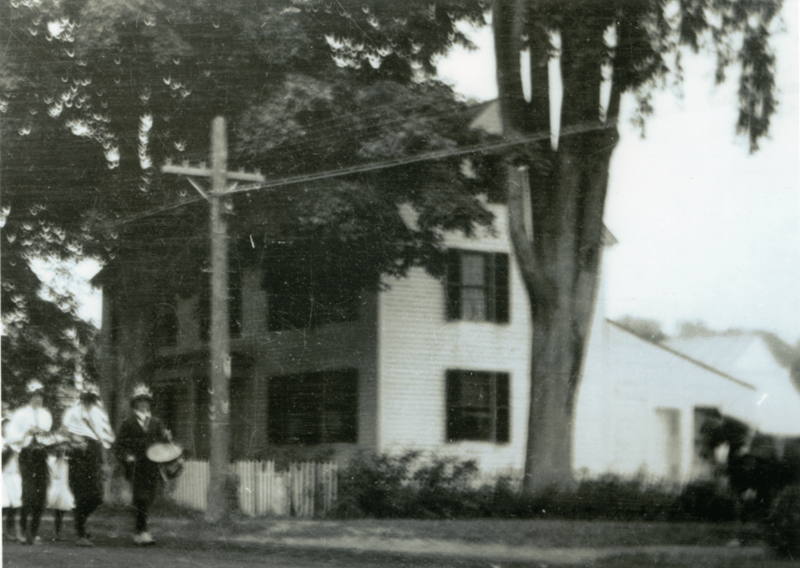 These two photographs below are of the Tracy house from around 1910. Tracy Hall now stands where the Tracy House once stood, so there is a clear connection between the two. How did come to be? A look into the Tracy family files reveals that in the 1920s, retired cabinetmaker and Civil War veteran of Company K of the 16th Vermont Regiment, James B. Tracy, lived on this property, which had been occupied by his family since 1829. Being elderly and having no close heirs, Mr. Tracy “remarked to his friend and neighbor, Dr. L.B. 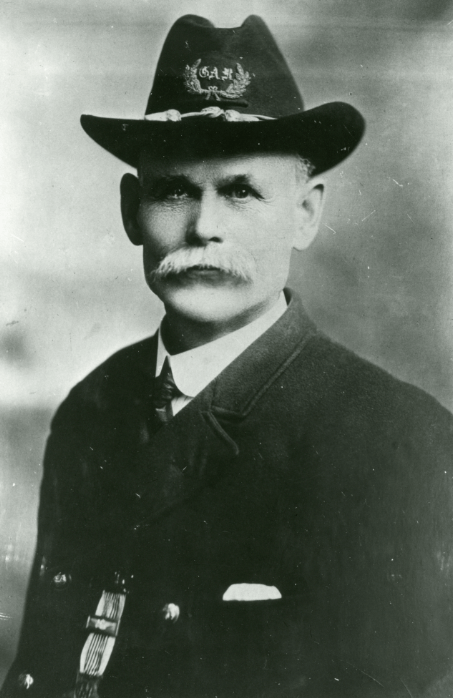 Jones, that he’d like advice as to how to leave his property so that it might do the most good after he was gone.” Mr. Tracy followed Dr. Jones’ advice by leaving the property to the town in order for a fireproof town hall to be constructed, which was named Tracy Memorial Hall. 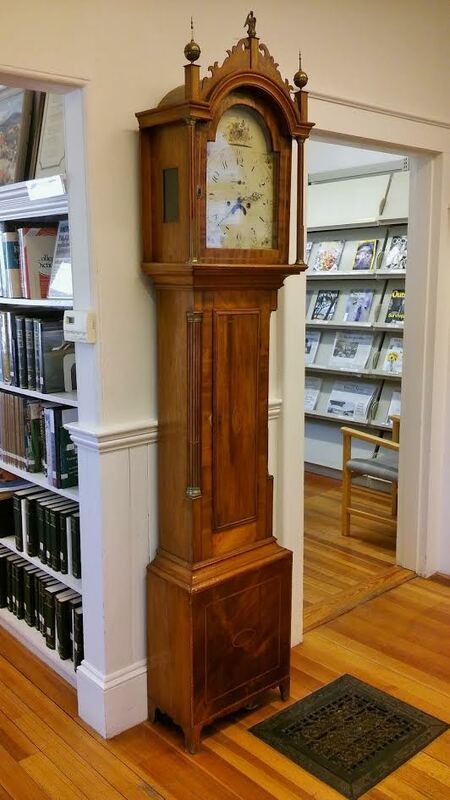 o revealed another interesting fact: James Tracy donated his family’s grandfather clock, whose works had been made in England in 1805, to the Norwich Public Library, where it still stands today. Because of these contributions to the town, James Tracy and the Tracy family continue to have an important role in Norwich.